In a deal so good it's scary, you can download more than $70 worth of apps for free from Amazon during a special Halloween promotion. Scary Good Deals offers your choice from among 33 participating apps until 11:59 p.m. (PDT) Oct. 31, 2015. Most of the participating apps are games, but you'll also find great deals like fitness tracker Runtastic Pro and Splashtop Remote Desktop, which lets you access your Windows or Mac computer from your Android device. Both Runtastic Pro and Splashtop Remote Desktop usually run $5 each. If you’re fond of enhancing your photos with effects, filters and frames, try Photo Lab Pro, a $3 value. Or install mobile security app AVG AntiVirus Pro for free and save $12. For your game-loving kids (or the gamer in you), enjoy Lego Star Wars TM Microfighters (a $1 value), Scribblenauts Remix (regular price $1) and Bloons TD 5 (worth $3), all free during the Scary Good Deals promotion. See the full list of participating apps on Amazon. Apps installed during the Scary Good Deals promotion are yours to keep. You won’t need to buy them again after the promotion period in order to install them on future devices. Unless you own an Amazon device such as an Amazon Fire Phone or the Kindle Fire tablets, you'll need to install the Amazon Appstore app on every device that you want to install the free apps on. Amazon provides easy and detailed instructions for setting up the Amazon Appstore app on your device. Then head to the Scary Good Deals promo page to start downloading. For more free apps and games (including in-app purchases), Amazon Underground offers premium apps worth over $10,000 for free all year round from popular developers such as Rovio Entertainment, Gameloft and Disney. These are apps that other app stores such as the Google Play Store would charge you for. 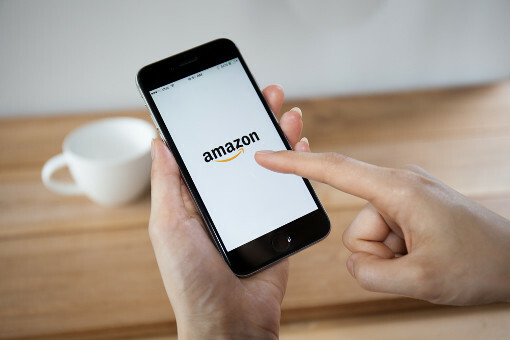 To enjoy the free apps, you’d need to install the Amazon Underground shopping app on your mobile device, except if you use the $50 Amazon Fire Tablet. See the Amazon Underground home page for more information.